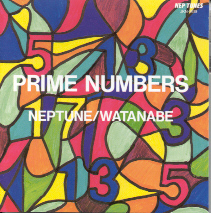 The 17-stringed bass koto (or jūshichi-gen, literally "seventeen strings") is used in the album PRIME NUMBERS by Neptune/Watanabe. As a matter of fact, all the traditional Japanese instruments played in it contain prime numbers. The other instruments used are the 3-stringed shamisen, the 5-holed shakuhachi (bamboo flute), and the 13-stringed koto. Primonumerophobia (the fear of prime numbers) contains 17 letters. In 1796, Gauss discovered the construction of a regular 17-gon with compass and straightedge. "17-jewel watches" have hard gems at 17 bearing points of friction. Frank Bunker Gilbreth (1868-1924), pioneer of modern motion study technique, and his wife Lillian devised a classification scheme to label 17 fundamental hand motions of a worker, which they called therbligs ("Gilbreth" spelled backwards with the th transposed). Theodorus of Cyrene (5th century B.C.) proved that the square root of each of the odd primes up to 17 is irrational. It is not known why he stopped at 17. In 1951 Ferrier found that (2148 + 1)/17 is prime. 17 * 65359477124183 = 1111111111111111. The Parthenon is 17 columns long. There are 17 plane symmetry groups, i.e., there are 17 different ways that a wallpaper design can repeat. President Bill Clinton's dog Buddy was killed by a vehicle driven by a 17-year-old girl. Schnizel showed that Goldbach's conjecture is equivalent to saying that every integer greater than 17 is the sum of three distinct primes. According to hacker's lore, 17 is described at MIT as "the least random number." The middle verse in the New Testament is Acts 17:17. Vietnam was divided along the 17th parallel of latitude. Billionaire Bruton Smith bought his first race car at age 17. 17 was called by the Pythagoreans - opposition, obstruction, and evil, and the day the Devil triumphed over God. Ramanujan defined 17 Jacobi theta function-like functions which he called "mock theta functions" in his last letter to Hardy. David C. Kelly, a math professor at Hampshire College in Amherst, Massachusetts, gives an annual lecture on the number 17. Only 17 original copies of the Magna Carta are known to survive. Texas billionaire and ex-presidential candidate Ross Perot once owned a copy. 17 * 5882353 = 100000001, and the reciprocal of 5882353, rounded to 1+7 decimal places, is 0.00000017. Note that 5882353 is also a prime number. The Leonid Meteor Shower is visible every year around November 17 as pieces of debris associated with the comet Tempel-Tuttle enter Earth's atmosphere at some 71 kilometers per second. All calculus students should know basic trigonometric values such as cos(2 /3). But have you ever seen Gauss's formula for cos(2 /17)? The only known Mersenne prime exponent p such that p2 + 2 and p3 + 2 are semiprimes. The Munich Oktoberfest is 17 days long when the 1st Sunday is October 2. In the James Bond movie "On Her Majesty's Secret Service," 17 is the number of Bond's private office. "Prime Number: 17 stories from Illinois short fiction" serves an appetizer for those who wish to sample the hundreds of stories by individual writers. The number 17 frequently signifies Heaven. Math Salamaders know primes up to 17. Q is the 17th letter of the modern English alphabet. If A = 1, B = 2, C = 3, ... , Z = 26, then Q=U+E+E-N. Found by Susan Thorpe of Great Missenden, Buckinghamshire, England. "What Great Teachers Do Differently: 17 Things That Matter Most" was written by Todd Whitaker, who taught mathematics early in his career.